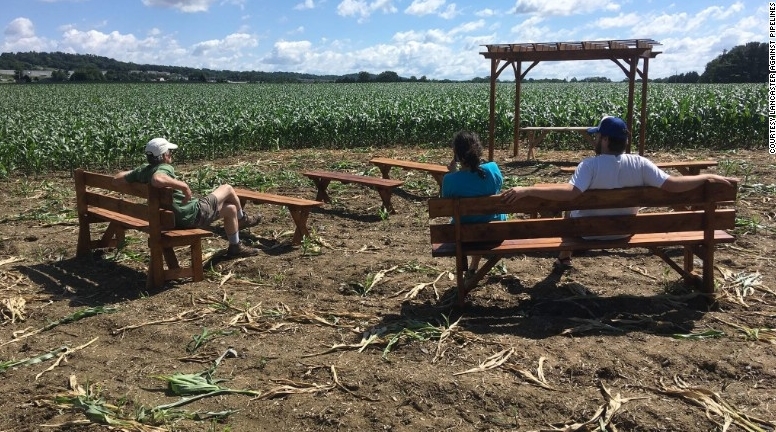 An open-air chapel set up by Catholic nuns to block construction of a natural gas pipeline in Pennsylvania will be dedicated Sunday on a spot directly in the pipeline's proposed path. The ceremony, hosted by grass-roots opposition group Lancaster Against Pipelines, is called "Stand With the Sisters" and is in support of the Adorers of the Blood of Christ, a Catholic order of women in opposition to the pipeline. 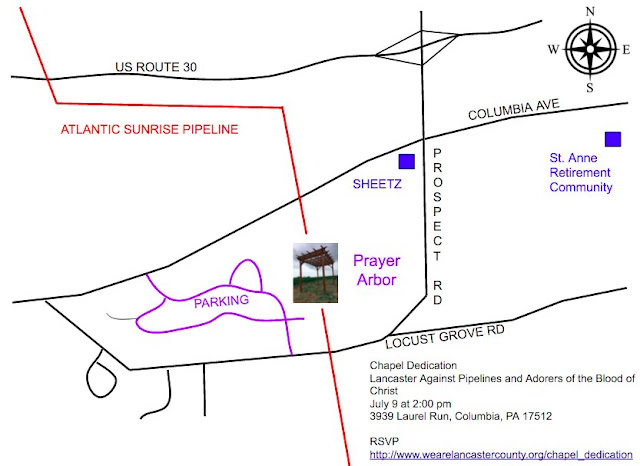 The Adorers own the land that the Atlantic Sunrise pipeline would cross. "It's not about money, it's about principle. 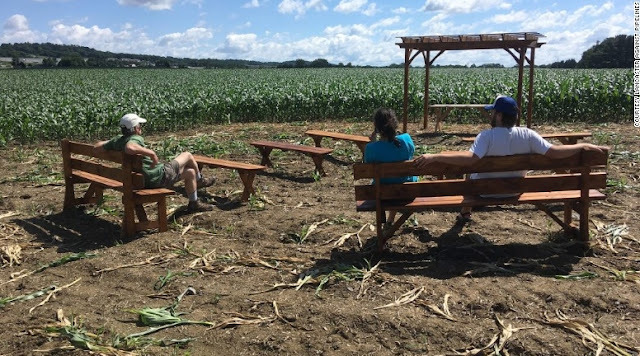 And the nuns have a land ethic that says this Earth is a sanctuary and we regard it as sacred, and we're going to work to protect it," Mark Clatterbuck of the Lancaster Against Pipelines group told. Though the Adorers have resisted the pipeline project, the Federal Energy Regulatory Commission has ruled that Williams Partners, the Oklahoma-based company planning to build the pipeline, has the right to construct, maintain and operate it on the private land via eminent domain. 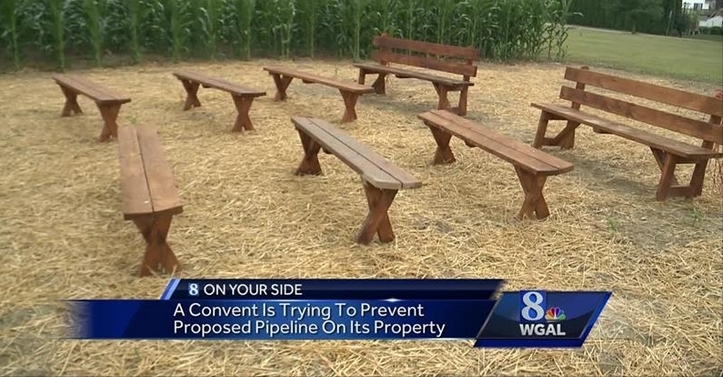 Eminent domain has not yet gone into effect, so the nuns, backed by Lancaster Against Pipelines, are taking action to stall construction. Proponents of the pipeline filed an emergency order Thursday to expedite seizure of the Adorers' land, WGAL reported. Protester Ann Neumann said 20 members of the Adorers' order live on the proposed pipeline site. A judge scheduled a court hearing for July 17, according to court papers. In a statement, Williams said the company respects the right to protest peacefully. "With the exception of the width of the construction right-of-way, this structure (the open-air chapel) can be placed anywhere else on the property without issue," the company wrote. Neumann said hundreds of people have voiced support for the sisters. "We're expecting a large crowd," she said of Sunday's ceremony in Columbia, Pennsylvania. "What we're hoping to get is a community joining together to voice opposition to this project that is incredibly difficult to stop." 'A violation of their faith': The pipeline would bisect the Adorers' property, but more importantly, supporters say, it defies their land ethic. "They see the pipeline as a violation of their faith," Neumann said. 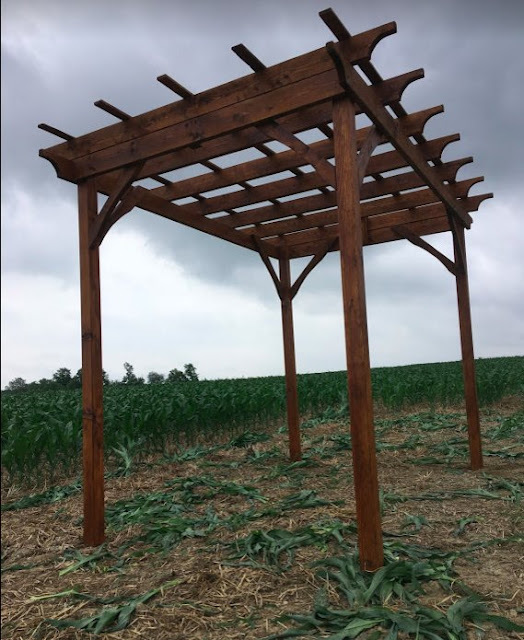 The nuns spent the past week putting together the "bare-bones" outdoor structure, with benches in front of a makeshift altar. It is open to the public and welcomes members of all faiths, Neumann said. The ceremony will include presentations by several Adorers and singing by members of another religious order from Kentucky. 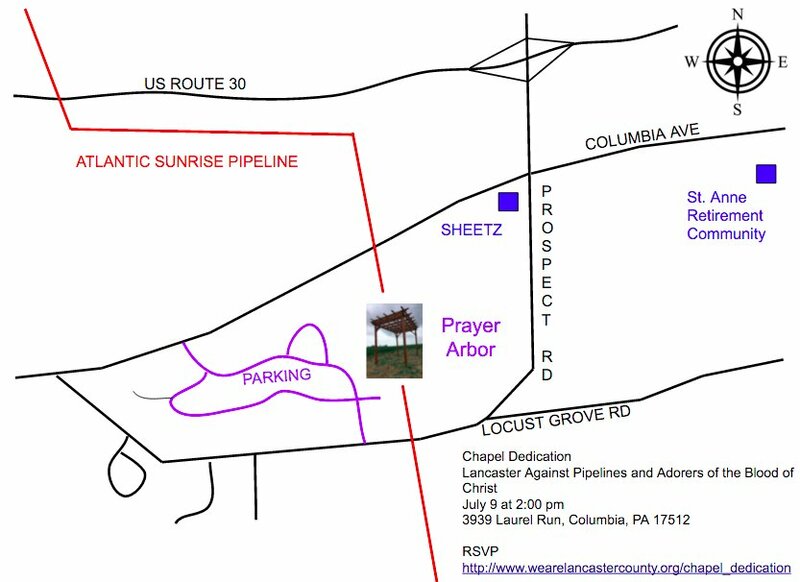 Responses to "Nuns build chapel in proposed pipeline's path"